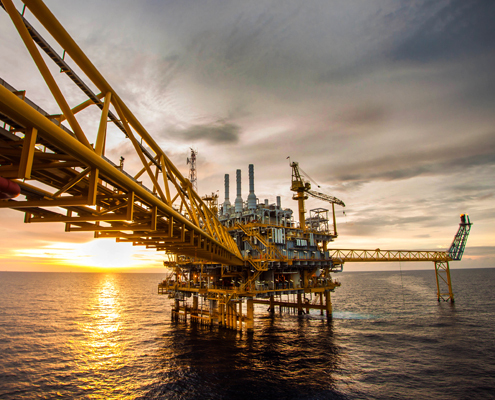 By its nature, the offshore Oil and Gas industry must embrace operational, navigational and safety systems, integrated into loosely termed ‘Telecom Packages’. In order to successfully deliver these packages, an organisation must possess a broad range of technical skills, proven project management, a safety conscious approach and adherence to UK, EU and in country regulations, as appropriate. These requirements make Radio Systems a foremost candidate for Telecom Vendor with the planning abilities of the R&D team, the system build and test skills of the Production staff and the installation and commissioning experience of the Field Support Engineers. Typically, Radio Systems has secured contracts for Telecom Packages for three Oil Production Platforms in the Dyabekir fields in the Caspian Sea and has supplied equipment to FLNG, Pipe Laying and FPSO Vessels.